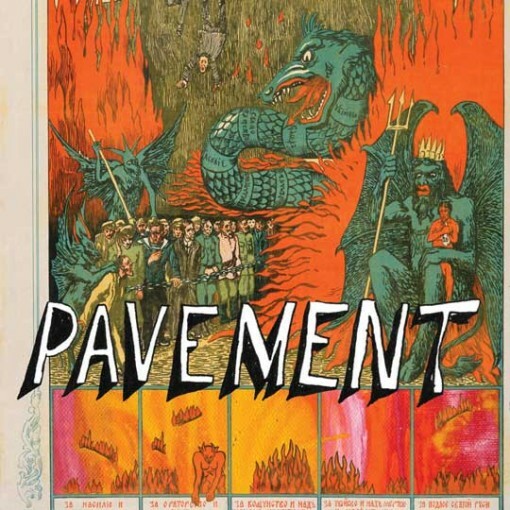 Another US date has been added to the Pavement summer reunion tour. Tickets for the June 25, 2010 Pavement show at the Greek Theatre at U.C. Berekeley go on Another Planet (APE) presale today (Jan 28) at 10AM PST (1 PM EST), the password is WOWEE. In other Pavement news, the band is releasing a new 23 track greatest hits collection entitled Quarantine The Past on March 9, 2010 on Matador Records. They also just announced a special show on June 19 on Toronto Island with Broken Social Scene and Band of Horses which will (effectively) kick off their North American tour. Tickets for the Toronto Island show are on sale now. Updated Pavement tour dates and a track listing for Quarantine The Past, after the jump.